NEW YORK (AP) — The dance floor is thinning over at ABC. 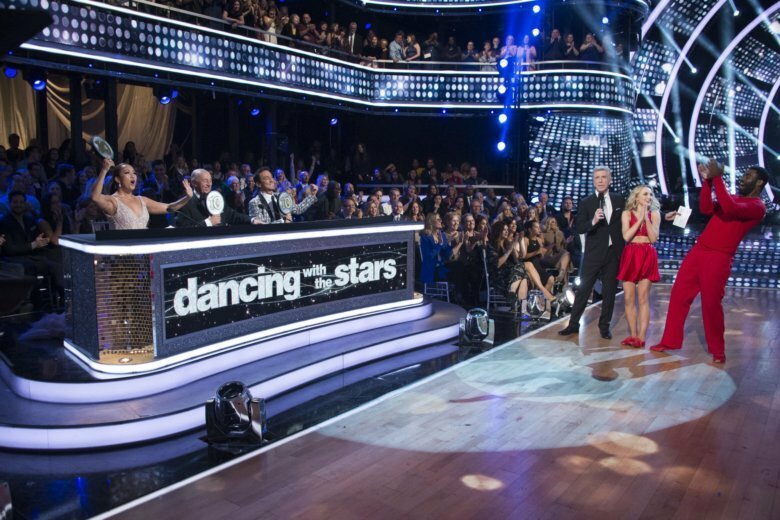 The Nielsen company says viewership is down for ABC’s “Dancing With the Stars” franchise, which concluded its fall season on Monday with country radio host Bobby Bones beating Disney star Milo Manheim, actress Evanna Lynch and model Alexis Ren. Each episode averaged 8.2 million viewers the night that it aired and during the week afterward, down 22 percent from last year’s average of 10.4 million, Nielsen said. The show was once a routine top 10 performer for ABC, but last week’s semi-finals finished out of the top 20. A figure for Monday’s finale was not immediately available. Among the 18-to-49-year-old audience that ABC watches most closely, “The Conners” ranked No. 15 last week, Nielsen said. Only “Grey’s Anatomy” and the annual CMA awards had more young viewers on ABC last week, Nielsen said. For the second straight week, talk show host Alec Baldwin was pre-empted, this time replaced by “Shark Tank” reruns. ABC has said the show will switch from Sunday to Saturday night — often the television version of one step closer to cancellation. With two of the NFL’s best teams providing an offensive feast, ESPN said the “Monday Night Football” game between the L.A. Rams and Kansas City had the best preliminary ratings for that football franchise since 2014. ESPN was the week’s most popular cable network, averaging 2.36 million viewers in prime time. Fox News Channel averaged 2.24 million, Hallmark had 2.19 million, MSNBC had 1.8 million and USA had 1.21 million. ABC’s “World News Tonight” topped the evening newscasts with an average of 9.3 million viewers. NBC’s “Nightly News” had 9 million and the “CBS Evening News” had 6.6 million. For the week of Nov. 12-18, the top 10 shows, their networks and viewerships: NFL Football: Minnesota at Chicago, NBC, 18.84 million; NFL Football: Green Bay at Seattle, Fox, 16.89 million; “Sunday Night NFL Pre-Kick,” NBC, 13.32 million; “The Big Bang Theory,” CBS, 12.56 million; “NCIS,” CBS, 12.47 million; “Young Sheldon,” CBS, 10.78 million; NFL Football: N.Y. Giants at San Francisco, ESPN, 10.65 million; “60 Minutes,” CBS, 10.29 million; “CMA Awards,” ABC, 10.11 million; “Thursday Night NFL Pre-Kick,” Fox, 9.46 million.